Our colour palette this month is RAINBOW with a touch of white, so choose ONE colour per block and make a 10.5" unfinished block. Make as many as you like - each block nets you one lottery ticket to win the whole batch. 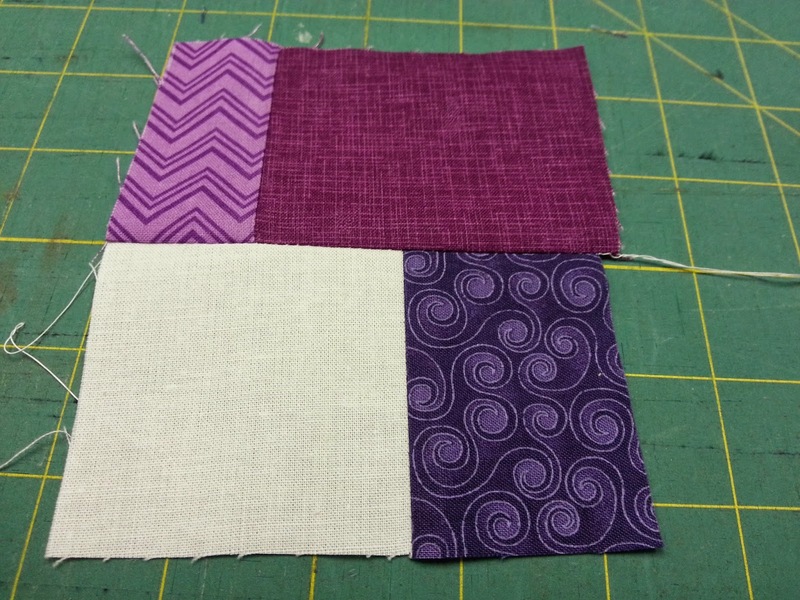 Take a square or rectangle of white fabric and a piece of your chosen colour. Sew them together. 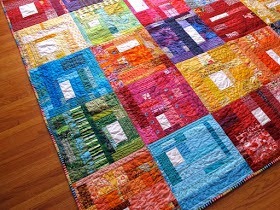 Take two pieces of coloured fabric and sew them together. Do that a few more times. Then start sewing more pieces to those first pairs. 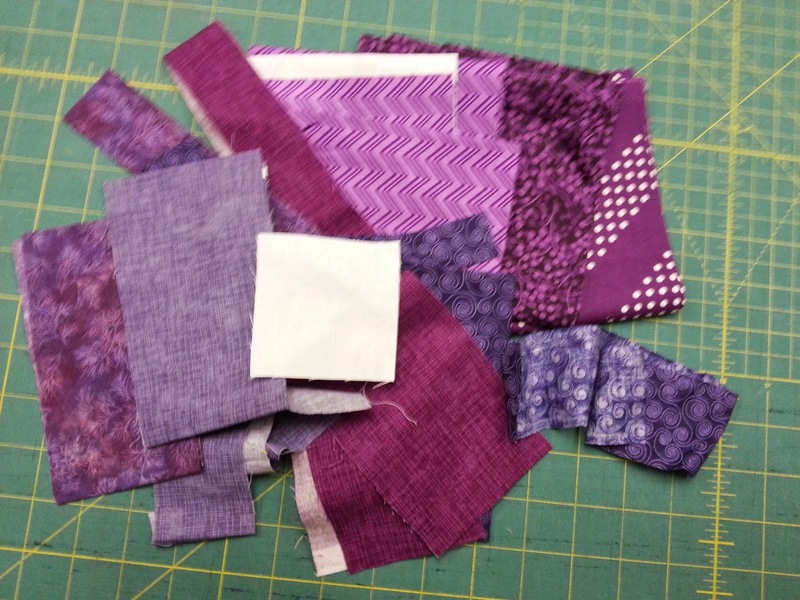 Add additional pieces of fabric as necessary to get up to your finished size. Start with small bits or big ones, it doesn't matter. Raid your scrap bins and go with what you've got. 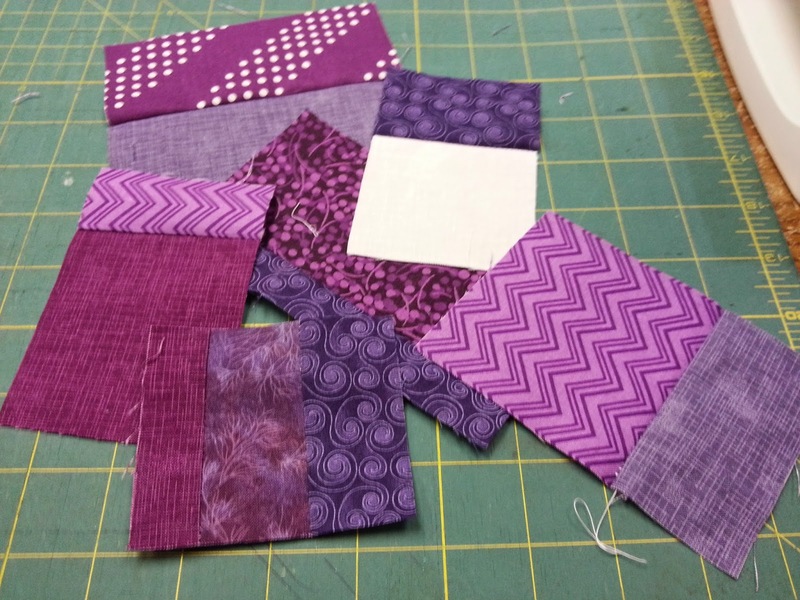 Tip from Bryan: press seams after you sew them. 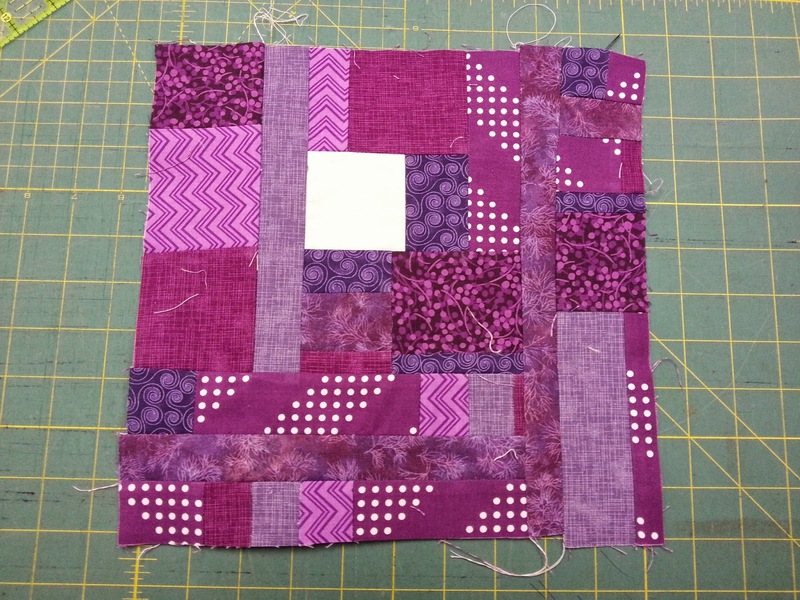 Trim square before adding the next block (see picture above). 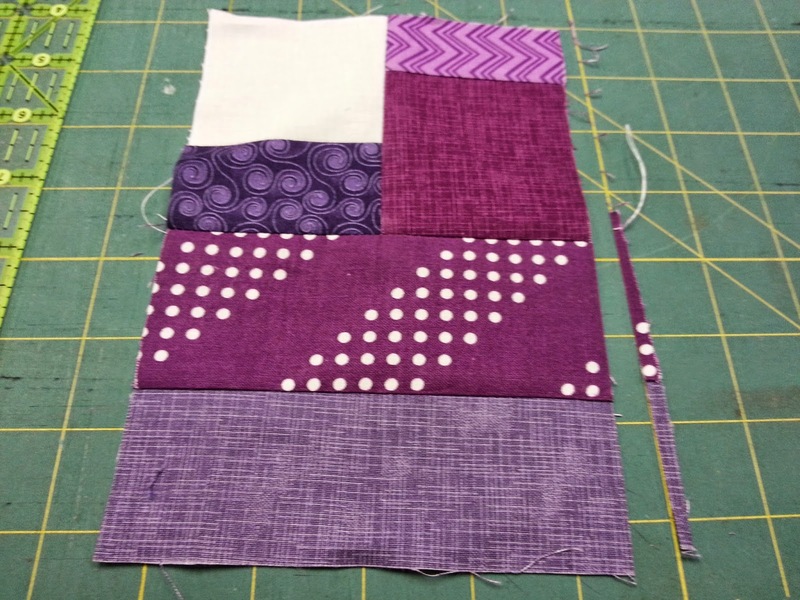 Make it at least 11" square and trim to 10.5" square. Remember, one block = one lottery ticket!